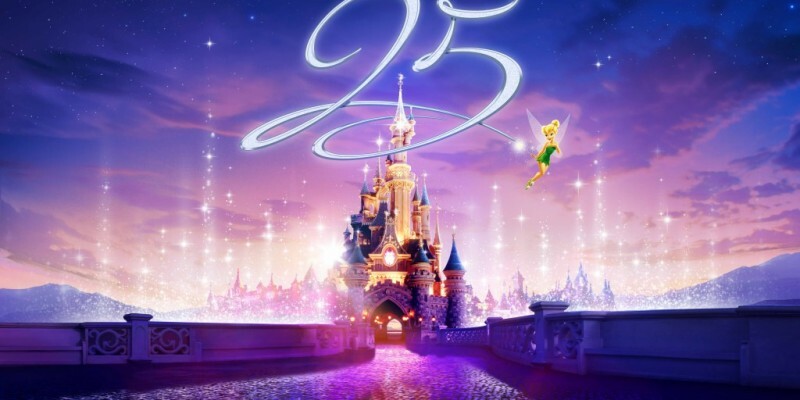 My Thoughts: Disneyland Paris' 25th Anniversary Celebrations! My 25th Birthday Party which was 90s themed - I went as Lara Croft! I've mentioned previously that during my trip to Disneyland Paris earlier this year, some vast improvements were already incredibly noticeable ahead of the 25th anniversary. Mainly, better guest services in the parks and hotels, building works including repainting and rennovations, more character Meet 'n' Greets and half board dining plan options for hotel guests just to name a few. This in mind, I am THRILLED that the planning hasn't stopped there and that the park will be getting updated attractions and new entertainment for 2017 in celebration of the 25th anniversary as per yesterday's announcement. I love Star Wars and I love Disney Parks - put them together and voila! Hyperspace Mountain. I am so, so excited that Space Mountain is going to be given this very exciting face lift! For those of you that have never ridden the Paris version of the coaster, let me tell you, it is already far superior to its US counterparts and I can only imagine that this inclusion of our favourite Sci-Fi franchise will make the ride even more enjoyable! 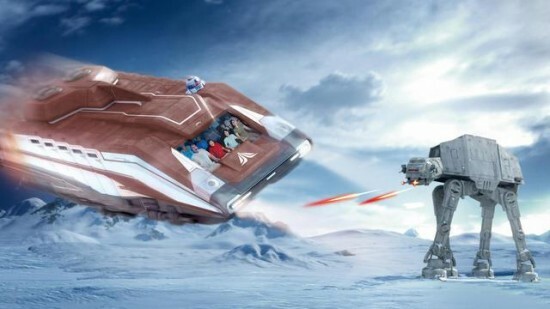 To coincide with the brand new Star Wars updates to Space Mountain, Disneyland Paris have also announced that they will be replacing their popular attraction Star Tours with the updated Star Tours: The Adventure Continues. 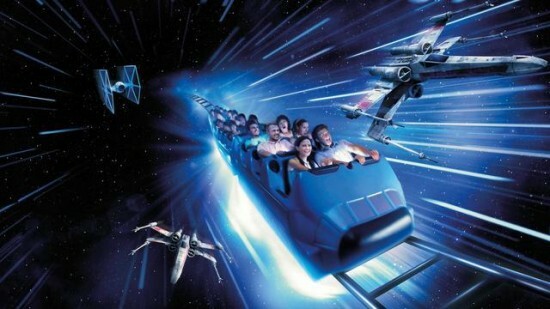 It is no secret that the Star Tours attraction in Disney's Hollywood Studios (Orlando) is one of my all time favourites. Even my Mum, who absolutely despises Star Wars, says it is one of the best rides she has ever been on and I am so happy that they are updating the Parisian version with the same technology! The ride will now have hundreds of different narrative options for riders, who can experience a totally unique experience every time they ride due to the completely randomised nature of the ride's technology. Pretty awesome! Super excited about this part of the announcement, obviously. Even if you're not a lover of Star Wars, this is not to be missed. 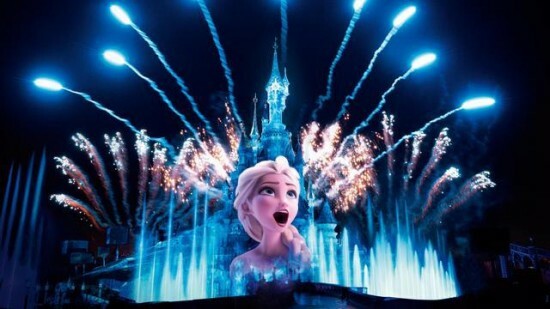 Disneyland Paris have also announced that for the 25th anniversary, popular night-time show Wishes will be replaced with the "brand new", Illuminations. I am a little sceptical. But wait... isn't that exactly the same as Ignite The Dream in Shanghai? You have no idea how happy this announcement makes me! 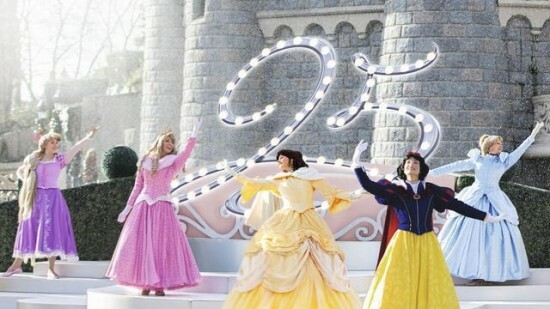 Disneyland Paris have revealed that there will be a brand new show on the Castle Stage: The Starlit Princess Waltz. This stage has, in my opinion, been left neglected for too many years now only to be used occasionally for seasonal events. I am so happy that they have decided to put a regular show on here... and with Princesses! I remember from my visit when I was about age 6 that they had a beautiful Storybook stage show. I have mentioned it previously on my blog as I am unable to find any footage of it online despite my efforts. Shortly after that when I returned to Disneyland Paris in 1999, I was disappointed to see that it had been replaced with a pretty shoddy Winnie The Pooh show which remained for several years before they eventually stopped that also, the stage left, never to be used again. And there is also said to be a brand new parade coming with new music, new floats and new costumes... although the image circulating of this currently is an old WDW parade float, so they may just mean new to Disneyland Paris! All in all, I am very pleased with the announcement and I think that mostly, all of the above will be a great addition to an already improving park. If you have any questions about this or anything else that I have mentioned on 'My Disney Blog', please let me know in the comments.